For hot or cold beverages, including tea, water, detox and fruit-infused water. Note: Your purchase of this drinkware helps to contribute to drilling wells for water in a Uganda village. 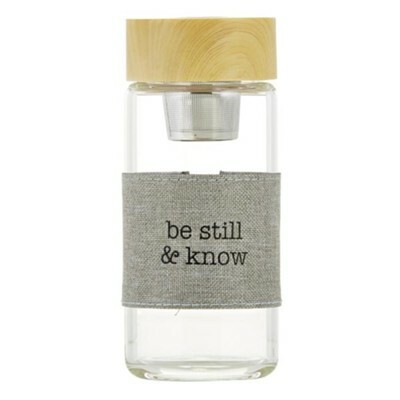 I'm the author/artist and I want to review Be Still & Know Tea Infuser Bottle.